Rivers and Romo — Will Either Bounce Back? Archived Content Rivers and Romo — Will Either Bounce Back? Coming into the season, Tony Romo and Philip Rivers were low-end No. 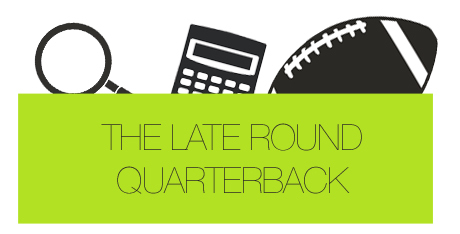 1 quarterbacks in 12-team, one-quarterback leagues. Those of you who subscribe to this site’s motto — grabbing a starting quarterback late in fantasy drafts — may very well have ended up with one of these two guys. Well, there is no other way to put it: both Rivers and Romo have stunk. We’re eight weeks into the season, and while eight weeks is still a small sample size when looking at a player’s career, right now is win-or-miss-the-playoffs time for fantasy owners. The question isn’t will Romo or Rivers bounce back and put up the numbers we’ve grown accustomed to; it’s too late for that. The question is what to do with the gun slingers moving forward? Projected as the ninth-ranked quarterback coming in to the season, Romo currently checks in at number 21 in the quarterback rankings, sandwiched behind Joe Flacco and in front of Brandon Weeden. With talent at every skill position in Dallas — Dez Bryant, Miles Austin, DeMarco Murray and Jason Witten — it’s tough to fathom how Romo could lead the league in interceptions (13) after tossing just 10 picks all of last year. Since the 2007-08 season, Romo has played 16 games in three campaigns. In each of those years, he’s thrown for at least 4,000 yards and 26 touchdowns. Romo is still on pace for 4,592 yards, but at this rate he’d throw just 20 touchdowns and a staggering 32 interceptions. My advice for fantasy owners is to exercise patience. I believe better days are ahead. Romo’s numbers are going to improve. They already have as he’s averaged 16.3 fantasy points the last three weeks. The interceptions are far from solely Romo’s fault (check out this helpful breakdown of his four picks against the Giants to see what I’m talking about) as shoddy blocking from the offensive line, bonehead receiver play and plain bad luck have been working against him. The lack of touchdowns is troubling, but some of it is a byproduct of the randomness of touchdowns and will straighten itself out over the course of the season. If you don’t have Romo, the owner who does is undoubtedly frustrated. Try to buy low as soon as you can. That 300-yard, three-touchdown performance is right around the corner. I’m singing a much different tune when it comes to Rivers. Projected to be the 11th-best quarterback, Rivers is currently ranked 27th. That’s one heck of a drop, one that takes him from a low-end starter to waiver wire fodder. Because of his name and pedigree, Rivers is still owned in 86 percent of Yahoo! leagues. Rivers will have an occasional good game the rest of the way, teasing owners to start him when a matchup is favorable. That’s too risky for me. I’d advise you to either cut him or bury him on your bench, with the intention of only using him in an emergency situation. While Romo is blessed with elite talent around him, the same can’t be said for Rivers. Ryan Mathews and Antonio Gates are solid, but San Diego’s offensive line is horrendous. Malcom Floyd, albeit a lowly number one wide receiver, is a decent down-the-field threat, but Rivers’ rarely has enough time to let those deep routes develop. Take last week’s game as an example. Who led the Chargers in targets? Backup running back Ronnie Brown, who Rivers threw to eight times. It’s tough to drop a guy like Rivers, a quarterback who has thrown for at least 4,000 yards and 27 touchdowns in each of the past four seasons, making him a fantasy stud. I get that. Just don’t plan on him being an every-week starter. At his current pace, Rivers will finish with roughly 3,700 yards and 20 touchdowns. There hasn’t been a decline in his skills — he can still spin in with the best of ‘em — but rather a massive drop in the talent level of the weapons around him. Once a roster with the likes of Darren Sproles, Vincent Jackson and Michael Turner, the Chargers’ current offense is in a purely dismal state.